They arrived at the magnificent Wembley ice rink on March 22, 1951 for the big game. Mallie Hughes said, "You won`t find a finer rink anywhere!" p. 133 The Leafs were amazed at the rink and facility that includes a restaurant and orchestra.Even the ice cleaners were finely dressed and marched to music as they cleaned the ice surface. There was a screen at the end of the rink where artists put information and drawings depicting the game using old cinema slides. A more than capacity crowd of 10,000 jammed the rink for the game.
. The Leafs considered this team a powerhouse, the best competition they would see in Europe. The game started and continued at a torrid pace. The English All-Stars were flying out there and built up an impressive 3-0 second period lead against the world champions. 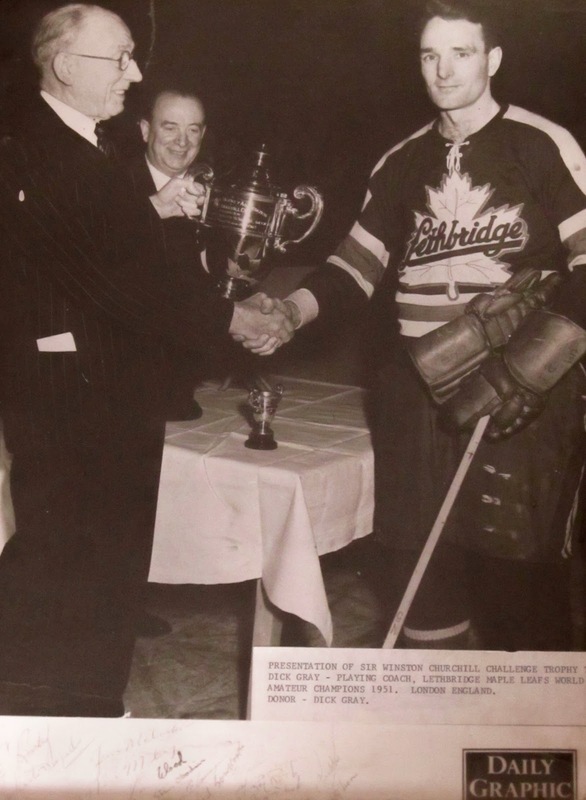 Then, later in the second period Captain Hec Negrello ignited the Leafs with the first goal. Near the end of the second period Obodiac got the second Leaf goal and they entered the third period down 3-2. The game was televised and Heg Negrello was interviewed on TV in the second intermission. In the third period the Leafs were flying whenMcLean passed to Gibson who scored to tie the game at 3. And then at about the 10 minute mark, the player who always scored big goals for the Leafs when they counted most, came through again. Captain Negrello, the emotional leader of the Leafs scored is second goal of the game and the Leafs lead the game 4-3. 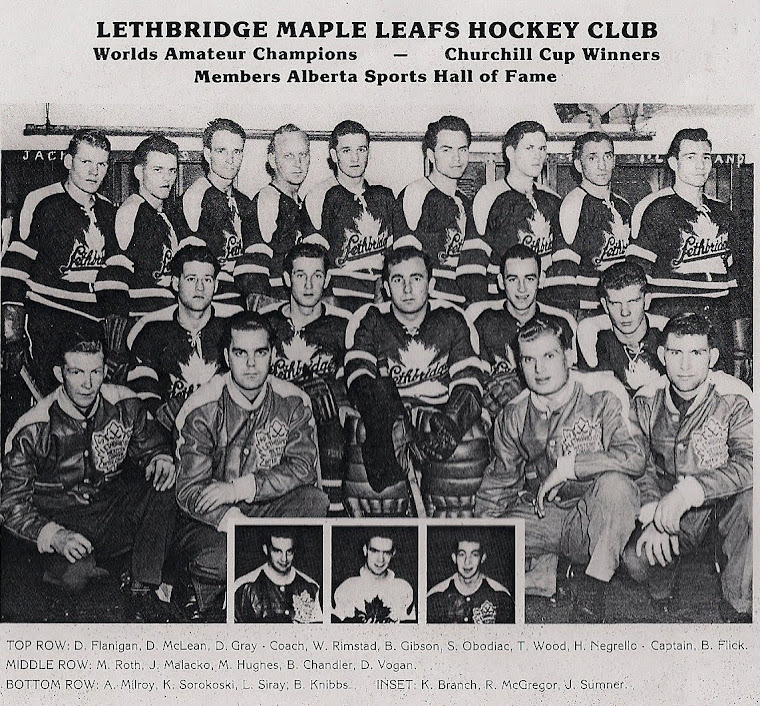 The Lethbridge Maple Leafs Won the Winston Churchill Cup!